There are too many choices when it comes to photography related products and services. Over the years I have tried and used many hardware and software products to support my growing collection of digital media. However, I can only recommend a few of these products. ACDSee Pro. 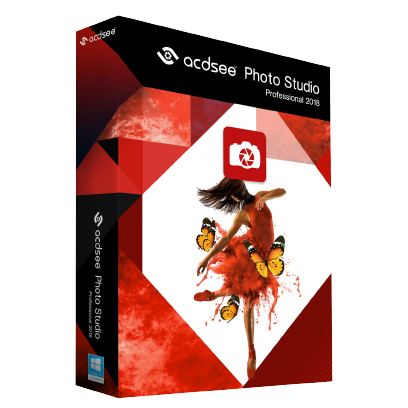 If you are looking for a simple and yet powerful photo management system, ACDSee Professional is a great simpler choice. You don’t need to import photos and you have great photo editing tools. Available both for Windows or Mac. I recommend using Adobe Lightroom Classic CC via the annual Adobe Creative Cloud subscription. Lightroom has excellent user interface and imagery editing capabilities. Yes, it forces you into a certain workflow and you have to learn to keep your catalogs in sync with your hard drive. However, Adobe Lightroom makes most sense especially when you do lots of image editing. Backblaze cloud backup. I love this company! Just install their small program and everything gets backed up in the cloud. It’s simple and with their 2 year plan you pay less than $5 per month for unlimited backup. Click here for more info about Backblaze. Reliable & Affordable External Hard Drive for everyday backup of your computer. I have been using Western Digital external hard drives for a number of years. I only purchase their simplest, one drive external drive which is affordable and very reliable. Nothing fancy…just works everyday. Get more info. XnView is a great FREE image viewer and metadata editor. If you want to manage all your metadata for free, then XnView is the way to go. It provides access to all the IPTC fields for JPEG images and can also translate all those fields in XMP format. Click here to download XnView. IrFan View. The strong point of IrFan is its support for pretty much any image format you can think of. It is a fast image viewer as well, even though it lacks a bit in the ease of use of its user interface. Click here to download IrFan. You may ask, what do you mean? Well, it’s simple! Many times when you start sorting out your pictures you have a mess of folders and digital photos all over the place. You start by putting them all together in one folder, but then it becomes very tedious to figure out the date of each event and find all pictures from that event. This is where these two programs shine. You give them the source, the one folder with all your unorganized digital photos and you pick a target folder and then they will create a nicely organized structure with date folders from your messy mess. Very useful! AmoK Exif Sorter. This program works great both on Windows and the Mac and it does file renaming as well. Very easy to use and can produce all kinds of automated folder structures. Highly recommended. Click here to download AmoK Exif Sorter for free. Digital Image Mover (DIM). Very nice and simple user interface but I had trouble getting it to work on the Mac. The Windows version works well, and it has support for adding geotags from a local file. Click here to download DIM Sorter for free. SyncBack Freeware for local backup. If you are running Windows, SyncBack is the best program for doing local backups of your computer. I have used it for many years and it has worked flawlessly. Download SyncBack for FREE. Western Digital internal and external drives. I use Western Digital (formerly Hitachi now Western Digial) drives both internally inside my desktop computer and externally for my local backup. You can get a great price on Western Digital external hard drives here. If you’re planning to setup a website or you want to move your existing one please consider the services below. I have been using all of them for years and I love them. Site Ground offers unbelievable value for your website. If you’re looking for a fast and reliable web hosting, Site Ground is awesome. Large space, unlimited domains and much more for just $4.95/month. Clicky web analytics. With Clicky you can learn everything about your website visitors. You can greatly improve your users’ experience by knowing every action your website visitors take. I have been using Clicky for more than two years. Check out Clicky Web Analytics (affiliate). Extreme Thumbnail Generator. I have tested many photo gallery generators but this one is by far the most flexible program. What do I mean by flexible? Well, not only that you have quite a few themes already provided out of the box, but you can also change any theme and create a new theme. The greatest thing however is the ability to insert image meta data anywhere in the gallery: on thumbnail pages, on image pages, in the header, in the footer, in the “alt” tag….pretty much anywhere. Checkout Extreme Thumbnail Generator (affiliate). If you want to see an example take a look at the my photo gallery of Santa Barbara Zoo. My travel website. If you’re thinking about setting up a photo blog, take a look at my travel blog for examples on how to setup a successful photo blog. I think you’ll get lots of good ideas. Check out my travel blog.